“So where do you get your protein?” A somewhat annoying question but people are truly curious. 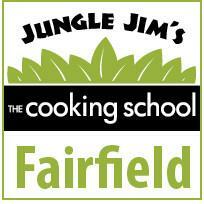 In this class, we will become formula with plant-based protein sources like grains, legumes, and other plants. Protein is important and essential to building healthy and strong muscles. Plus when you choose plant protein it helps the environment and your well being. In this class we will be focusing on Seitan and the different ways to prepare it. This class contains gluten and soy, may contain nuts. There will be some hands on learning but not required. Must be 16 and up to join class. VRUNCH /‘vrench/ n. Vegan Brunch. It’s totally a thing. Starting this weekend Ghostlight Coffee is serving vegan breakfast sandwiches on Saturdays! Made with an Impossible chorizo (Impossible Foods burger and HouseMadechorizo spice), polenta, and Daiya cheese on an English muffin. Ghostlight Coffee is known for their vegan baked goods and now they are extending their animal-free alternatives to breakfast. 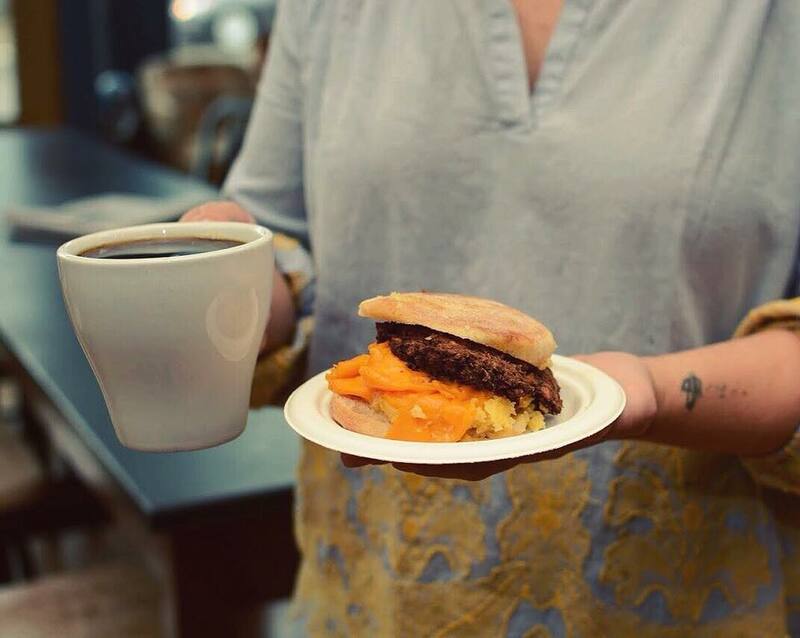 Ghostlight’s vegan breakfast sandwiches are made with Impossible Chorizo (an Impossible Foods vegan burger blended with Ohio-made HouseMade chorizo spice), a polenta “egg”, and Daiya cheddar cheese on an English muffin. 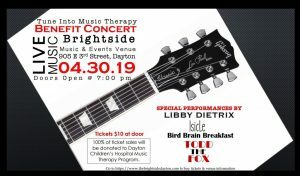 Sandwiches will be available for purchase while supplies last on Saturday morning, in addition to those made for pre-orders being delivered at 8 am and 9:30 am. Ghostlight will offer sliding discounts for pre-orders each week, starting with 15% off this week using the code VEGANDAYTON. The discount will drop to 10% the week of May 28 – June 2. Pre-orders will be accepted until 5pm on Friday, May 25 for pickup at 8 am or 9:30 am on Saturday, May 26. You can put in your Pre-Order at this link. When my girlfriend and I committed to going vegan in 2014, we were concerned about where to eat out in the Dayton area. Turns out, Dayton is very vegan friendly (and more vegan friendly than a lot of other Midwestern towns). 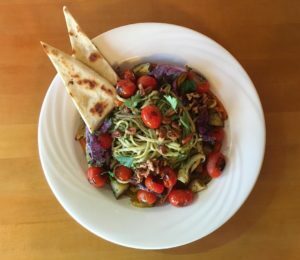 Most restaurants have some vegan option, be it a black bean burger, portabella sandwich, or hummus, but over the last 3-4 years, we’ve found a list of places in the Miami Valley that are very vegan friendly, either with a dedicated vegan menu or by making a few easy substitutions to menu items. Below are our frequent haunts, but this list is by no means exhaustive. Start your day off right with a plant-based breakfast. There are a variety of places for vegans to brunch in the Miami Valley. Although you might not suspect it from their name, Butter Café (1106 Brown St; Dayton, OH 45409) features an array of breakfast staples, including the best vegan pancakes in Dayton. And their lunch menu stars one of the Midwest’s tastiest vegan Reuben sandwiches. As of March 30th, 2018, the Café also offers a late night walk-up window on Fridays and Saturdays. Christopher’s oven roasted root vegetables and blistered tomatoes over pesto linguine. Garnished with fresh Italian parsley and pecans. Christopher’s Restaurant and Catering (2318 E. Dorothy Ln. 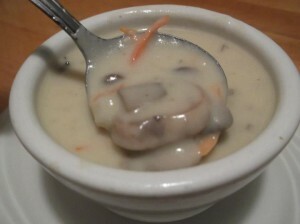 ; Kettering OH 45420) has been a cornerstone of the Dayton area’s vegetarian and vegan set for years. While many establishments offer a tofu scramble, our favorite is the one at Christopher’s. And also Christopher’s has a full lunch and dinner menu and every Wednesday from 5-9pm, Chef Don prepares a new vegan special. 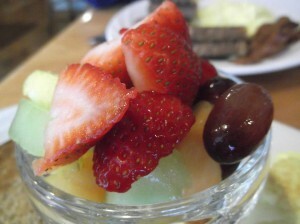 For an active weekend, start with brunch at Yellow Spring’s Sunrise Café (259 Xenia Ave; Yellow Springs, OH 45387). They feature a number of vegan breakfast plates, but make sure you try their homemade breakfast patties—they are unlike any other local vegan sausages. After eating, spend the day exploring Glen Helen or ducking in and out of the shops in town. If you find yourself still in the area at dinnertime, head back to Sunrise for their vegan dinner entrees as well as their craft cocktails. 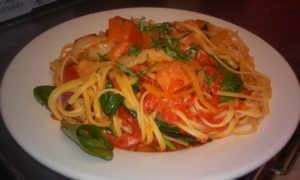 Lucky’s roasted red pepper linguini with fresh spinach, tomato and white onion. Topped with fresh basil. Speaking of drinks, our favorite vegan-friendly establishment is Lucky’s Taproom & Eatery (520 E 5th St; Dayton, OH 45402). Lucky’s does pub grub at its best and offers a large selection of both vegan and non-vegan dishes, as well as one of the best craft beer lists in town. They have a dedicated vegetarian grill and deep fryer, make their own seitan, garbanzo bean burgers, and quinoa patties, and grow much of their own organic produce. In late 2017, Lucky’s added faux chicken to their menu, updated their bread selections so that all breads are vegan, and made other menu updates to enhance their vegan selections. While the seitan cobra burger is an old favorite, I now gravitate towards the vegan chicken and waffles, while my girlfriend craves the vegan friend chicken sandwich smothered in buffalo sauce and vegan cheddar. Not up for a full meal? Try the seitan nuggets or the vegan chili cheese fries. They also have reliable vegan selections for weekend brunch and feature Meatless Mondays specials every week. Hairless Hare Brewery, located near the Dayton airport in Vandalia, is a great spot for pint before or after a trip out of town. About a year ago, they rolled out a vegan pizza line, making it a great spot for vegans and non-vegans alike. Spent Grain Grill, located within Warped Wing Brewing Company’s taproom (26 Wyandot Street; Dayton, OH 45402), also features vegan-friendly pub food. Their loose grain sandwiches, made with spent brewing grains, are an innovative meat-free alternative to loose meat sandwiches. Or try one of their tacos. And don’t forget the tots. Last summer brought Melt Bar and Grilled to the Fairfield Commons mall. This Cleveland-based regional chain offers vegan (and non-vegan) grilled cheese sandwiches and makes many of their own vegan proteins, such as their seitan, tofu bacon, and vegan meatloaf. Their regular menu flags a lot of vegan options, but ask for the vegan menu,which extends the vegan selections and provides a lot of items you might not think can be made vegan. Don’t pass up the vegan Buffalo wings with vegan ranch. 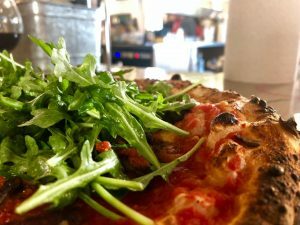 The delicious vegan cheeseless “marinara” pizza with added veggies including lemon vinaigrette dressed arugula (ask that the dressing is kept dairy free) from Old Scratch Pizza, located at 812 S Patterson Blvd, in Dayton can hit the spot if you’re craving a pizza. Trolley Stop in the Oregon District, (530 E 5th St; Dayton Ohio 45402) They have a great vegan red beans and rice and some really nice seitan, especially in their tacos. 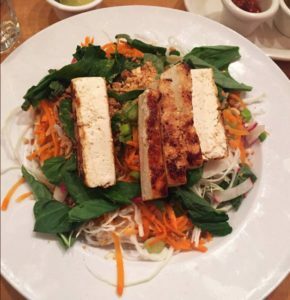 Vietnamese Noodle Salad with grilled tofu. Looking for something fancier than pub food? Check out Meadowlark Restaurant (Lamplighter Square Shopping Center, 5531 Far Hills Ave; Dayton, OH 45429). Although their dishes skew omnivore, their revolving menu always includes one high-end vegan entree, and the knowledge staff is adept and helpful at navigating possible substitutions to ensure a high level of choice in dining. Stay for dessert—Meadowlark makes their own vegan peanut brittle and vegan ice cream that is amazing. Wheat Penny Oven & Bar in the Oregon District (515 Wayne Avenue; Dayton, Ohio 45410) is the sister restaurant to Meadowlark and specializes in high-end pizzas, as well as plated entrees. Start your meal with the eggplant fries (just skip the yogurt sauce). All of their unique pizzas can be made with vegan cheese (including vegan cashew ricotta). Not feeling pizza? Try the cauliflower t-bone, which is poached, then grilled like a steak. Corner Kitchen (613 E 5th St; Dayton, OH 45403), also in the Oregon District, is another vegan fine-dining staple. Like Meadowlark, they cater to all dining preferences, but they do a fantastic job of labeling dishes that can be made vegan and/or gluten free. 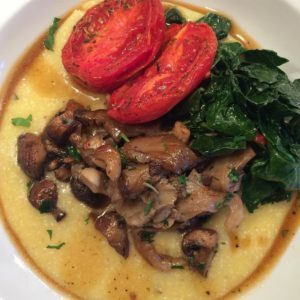 A variety of small plate options pepper the menu, but for dinner, we like the polenta & roasted mushroom ragout. Though Mudlick Tap House is fairly meat-forward, they also offer a great vegan option worth seeking out. Leave the cheese and aioli off the White Bean Tabbouleh Burger, or opt for a full entrée with the Sweet Potato and Kale Curried hash. 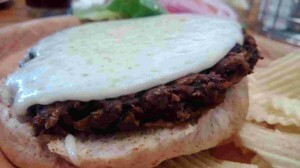 Many international foods can be made easily vegan, especially Indian, Pho, and Middle Eastern. Similarly, most Mexican restaurants have vegetarian sections on their menu and can be made vegan by leaving off the cheese and sour cream. We like the taco salad and veggie huarache at Taqueria Mixteca (1609 E 3rd St; Dayton, OH 45403) or the veggie fajitas at any of the area El Rancho Grande restaurants (multiple locations). 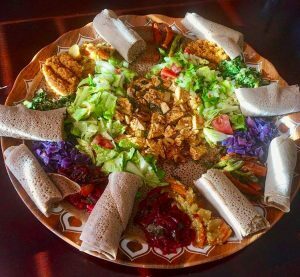 Dayton’s only Ethiopian eatery, Nanya Café in Dayton at 5214 N. Main Street, is a great option for delicious fresh vegan dining. The owner herself is vegan, and happy to help you explore the menu. The Ethiopian coffee she serves up is also a don’t miss. Thai food can also easily be made vegan, since most Thai restaurants include tofu as a protein choice. Thai 9 (11 Brown St; Dayton, OH 45402) offers the broadest vegan selection, since they never use fish sauce and have mock chicken and mock duck in addition to tofu. Thai 9’s atmosphere makes it an easy upscale dinner or lunch choice, even with non-vegan friends. For take-out Thai, we usually stick to Siam Pad Thai (3027 Wilmington Pike; Kettering, OH 45429). They do use fish sauce and egg, but will happily leave them off and the dishes don’t suffer as a result. Arepas & Co now has several locations around town and offers a variety of vegan options. The vegan empanadas a great late-night treats, but don’t skimp on the platters with the fried plantains. Several area food-trucks carry notable vegan options. Try Harvest Mobile Cuisine’s falafel fusion, which is a blend of burger and middle-eastern (but skip the tzatziki sauce). Drunken Waffle makes a throwback to childhood—vegan corn dogs, and Zombie Dogz carries vegan hotdogs in both their food truck and their storefront (1200 Brown St #150; Dayton, OH 45409). Although Pa’s Pork is an unlikely name for a truck with a great vegan option, they regularly offer BBQ tofu worth seeking out. In addition to being a great place to pick up ingredients for cooking at home, 2nd Street Market (600 E 2nd St, Dayton, OH 45402) hosts several restaurants with vegan options, including The Chef Case and Azra’s Mediterranean Cuisine. Vegans already know that Chipotle is a quick vegan staple, but a couple of other local fast casual restaurants also feature vegan-friendly grab-and-go cuisine. Fusian’s (multiple locations) roasted tofu replaces raw fish in their sushi rolls, and their company ethos is very vegan-compatible. 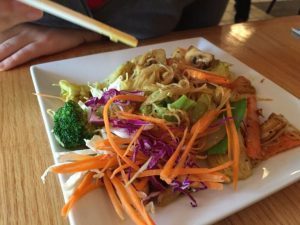 The newly opened Bibibop Asian Grill (1200 Brown St; Dayton, OH 45409) also offers hearty fare with lots of fresh veggies in their take on a traditional Korean staple. Or try the very similar Kupbop at 3011 Woodman Drive in the Kettering Town Center. Plant-based baked goods used to be trickier to find. Not anymore. We’ve already mentioned Lucky’s extensive vegan menu and it should be no surprise that they frequently carry vegan dessert. Butter Café also sells vegan cupcakes and cookies (we get them to-go and eat them at home later, since we’re always full from breakfast). Whole Foods is a vegan shoppers dream, and we always opt for their vegan donuts and vegan ginger snaps as a snack while we shop. 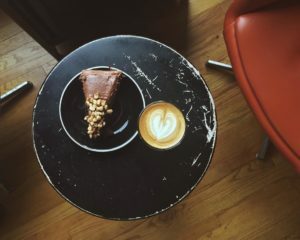 Vegan Hazelnut Mocha Torte & a Vanilla Bean Gibraltar at Ghostlight Coffee.o and eat them at home later, since we’re always full from breakfast). 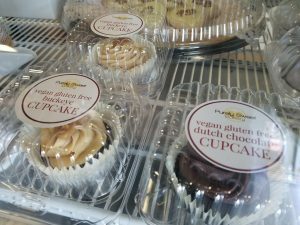 And finally, treat your sweet tooth with a cupcake from Purely Sweet Bakery (3375 Dayton-Xenia Rd; Beavercreek, Ohio 45432). Once occupying a booth in 2nd Street Market, they’ve now moved into their own space in Beavercreek. You can special order cupcakes (including lemon cheesecake, buckeye, and more) and they do great cakes, including wedding cakes. You can also find them at Dorothy Lane Markets around town. 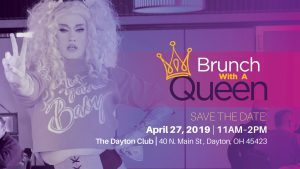 Dayton has a diverse and broad vegan community, so two other resources that we’ve found helpful are the VeganDayton Facebook and Meetup group (www.meetup.com/vegandayton) and Happy Cow. The Facebook group provides vegan tips, support, and events in a non-judgmental format. We’ve found it to be a fantastic source of news, including restaurant specials and food events. Happy Cow’s website offers a more comprehensive list of vegan and vegan-friendly places in not only the Miami Valley, but also across the country. Combined with a vegan filter on Yelp, we’ve used it to find fantastic vegan grub everywhere we’ve traveled. Dining out as a vegan can require some advanced planning. While we love to hit local joints, sometimes it’s nice to have the comfort and ease of chain establishments. That said, there’s only so much Chipotle and Mellow Mushroom a vegan can eat, and because we travel extensively, I’m always excited to find new regional and national options. 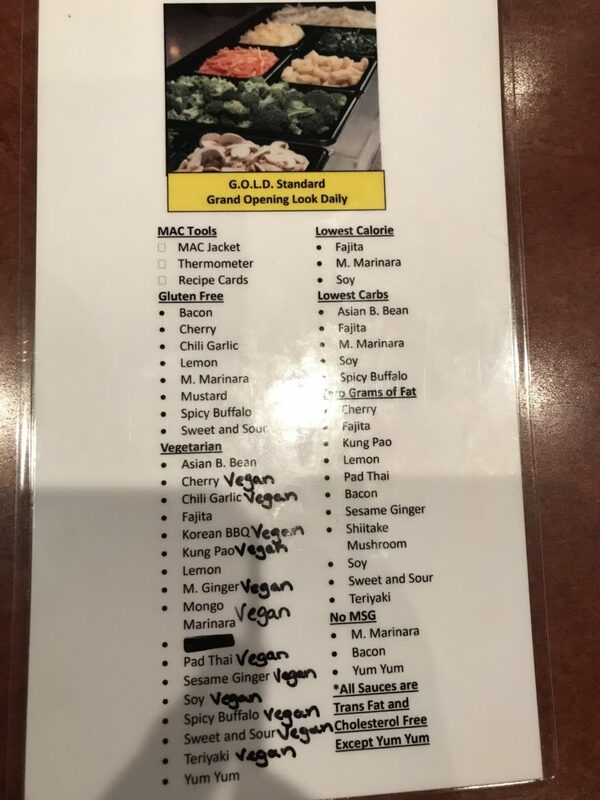 When b.d.’s Mongolian Grill reached out to MostMetro to see if anyone on the team would be interested in trying their new targeted vegan options, I almost kicked myself for not thinking of them before. Though their name sounds geared more to carnivores than herbivores, they’ve always been very “specific diet” friendly. For those not familiar with b.d.’s, the concept is simple: customers build their own stir-fry, selecting from multiple buffet tables of ingredients that include a variety of meats, veggies, and sauces. Not into meat? Not a problem because you can skip the meat section of the buffet altogether. The sauces at the bar are all labeled as vegetarian (not yet vegan, but I’m told it’s coming). 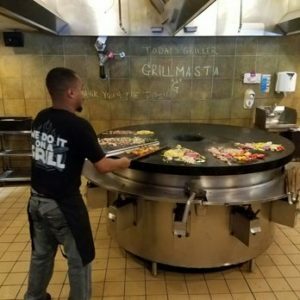 Although most of the food is cooked in front of diners on a large, flat grill at the back of the restaurant, there is a separate grill where you can request to have your food cooked if cross-contamination is a concern. (I believe the same holds true for other allergens, such as shellfish and egg, but best to check with the wait staff to confirm). 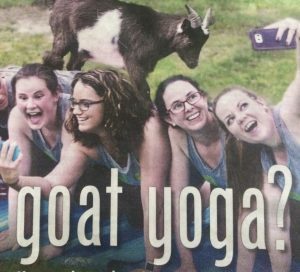 While the focus had been on vegetarians previously, the chain is now making a concerted effort to explicitly attract vegans, too. As such, the restaurant had contacted MostMetro and set up a time for my girlfriend and me, both vegans of three years, to visit and experience their new plant-based options. Our experience was excellent. Both our server, Crystal, and the manager, Casey, were knowledgeable about vegan dietary needs and extremely friendly. 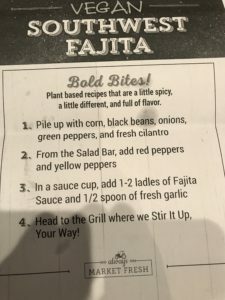 To aide our experience, Crystal handed us an annotated version of their sauce menu that indicated all of the vegan sauces and two recipe cards for entrees that were explicitly vegan. 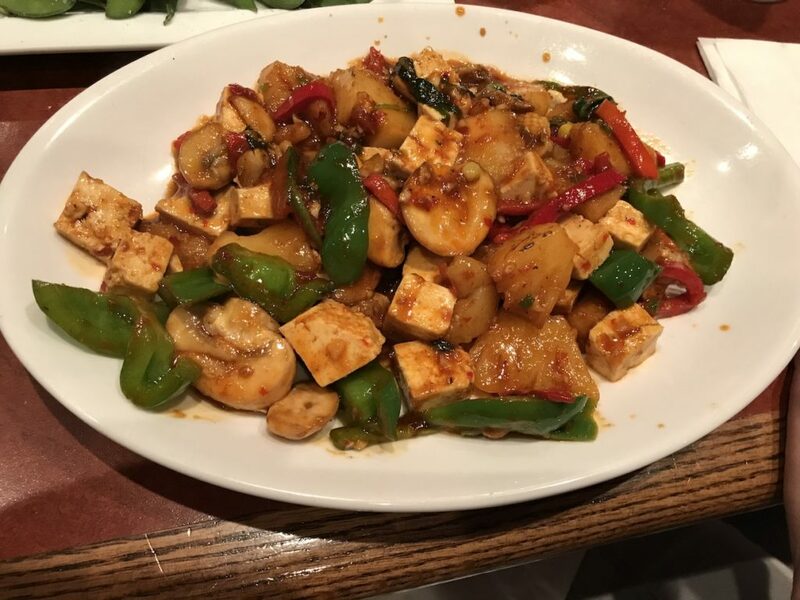 My girlfriend tried the first entrée—a sweet and sour tofu dish. She piled red peppers, green peppers, onions and pineapple on top of their prepared tofu. She augmented the recipe slightly, adding mushrooms and some hot sauce to the recommended Sweet and Sour Sauce. I opted for the Southwest Fajita bowl, with traditional ingredients like corn, black beans, onions, peppers, and cilantro. 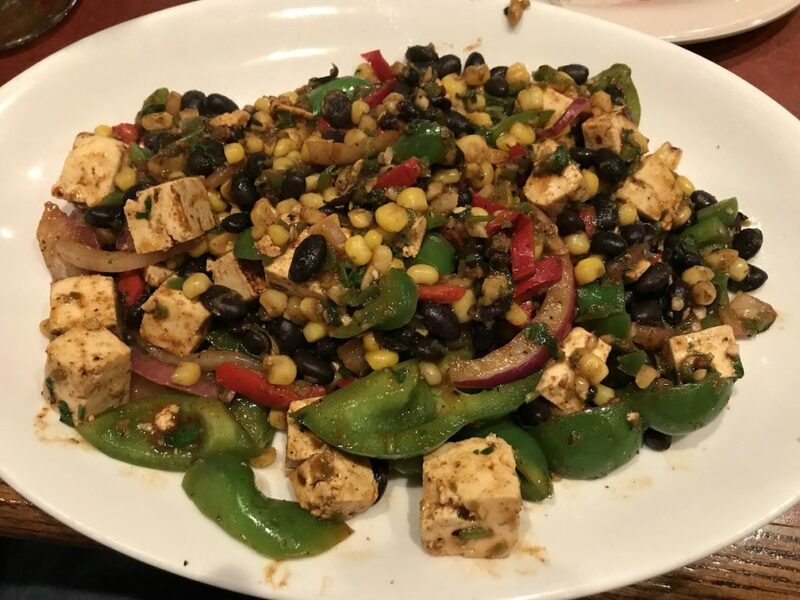 I threw in some tofu for some extra protein and some fresh (and very hot) jalapenos for an added kick before topping it off with the recommended Fajita sauce and loads of fresh garlic. Both dishes were well-balanced, flavorful, and satisfying. We ate them over a bed of brown rice and an accompanying salad from the restaurant’s salad bar. Although the meals and salads were filling in and of themselves, we also had steamed edamame and selections from their drinks menu: a specialty cocktail for her and a Warped Wing beer for me. 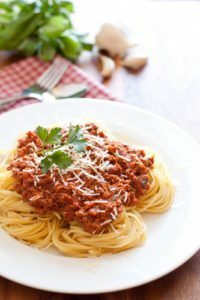 While dining as a vegan can require advanced planning, dinners out with kids who are not vegan, as both sets of ours are not, adds to the complexity of meal scheduling. 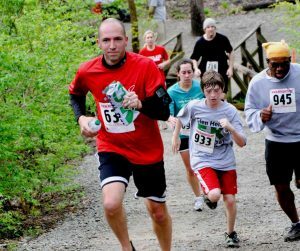 We loved that b.d.’s offered options that were tailored to our diets but we could very easily see coming back with the kids and other family members who weren’t vegan. Because of the “build your own” nature of b.d.’s and their overall awareness of dietary concerns, this is an easy place to get a meal for diners across the entire spectrum. B.d.’s commitment to adding vegan labeling and making it easier to ensure vegan access is another smart, progressive step forward for the already flexible restaurant chain. Zucchini Boats from Flavors are Delicious ! Today, The Food Adventures Crew shows you an easy way to keep your New Year’s resolutions for healthy eating. Flavors in Centerville continues to launch their “Meals by Flavors” option, where you can plan your healthy meals for the week. You can pre-order 1 meal, or as many as you want. Imagine that, full on, healthy Food Adventures in convenient packages! We all love Flavors Eatery for their one-of-a-kind, healthy food specialties, that taste delicious. 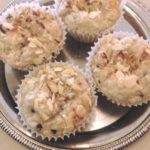 They have so many dishes that taste amazing, yet are low calorie, low carb and packed with nutrients. When new owner, Ryan, bought the Centerville location from Elaine and Rich, he stayed true to their menu. One of his visions was adding this meal program that helped him lose weight. Now, you can get certain meals “to go” and keep your waistline healthy throughout the week. With “Meals By Flavors” you can turn your resolution, into a lifestyle. — The concept is simple. Stay on track with your diet by substituting legumes and vegetables for your favorite carb foods. The idea is to “fool” your tastebuds into thinking you are eating your favorite foods. A perfect example is using shredded Zucchini noodles instead of spaghetti or pulverized cauliflower instead of rice. 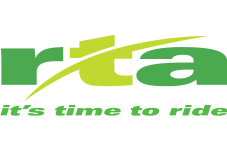 The menu is developed to taste good, and deliver all the nutrition and protein your body needs, in a low fat meal. Simply stated, the flavors are so good, you don’t miss a thing because it satisfies your cravings. — You must email [email protected] to request a menu, and to place your orders too . Orders take approx 48 hours to prepare, and may be picked up at the Centerville location at 865 E. Franklin St.
— Orders are typically packaged in air tight containers, so that when refrigerated, they will last a few days. Some dinners will last longer than others, depending on ingredients and packaging. — Menu prices typically run between $6 – $12, depending on the dish. Please note: the $12 meals were sometimes enough for two meals, and we have big appetites. — ZUCCHINI PIZZA BOATS with TURKEY PEPPERONI & MIXED GREENS SALAD: Hulled zucchini filled with marinara sauce, spinach, fresh basil, fresh oregano, and a sprinkle of parmesan cheese. The boats are then topped with a little bit of thinly sliced, fresh mozzarella and turkey pepperoni. (In the past we have also seen these offered with lean ground beef). The result is a cross between a pizza and a potato skin, with hardly any calories. Fantastic must eat, at the top of our list. — FISH TACOS: The fish offered is usually Salmon and/or Tilapia, and sometimes Wahoo whitefish. The fish is seared and served with a cup of spicy Boom-Boom sauce, two low-carb tortillas, and Flavor’s signature salsa loaded with lime and fresh cilantro. It also comes with a side of apple and vegetable slaw lightly seasoned and placed on a bed of fresh baby spinach. — CHUNKY CHICKEN SALAD: One of our Food Adventure faves, right off the flavors menu! It starts with spinach and romaine salad with hand-pulled roasted chicken. Also packaged are black beans, apple and veggie slaw, sunflower seeds, cheddar-jack cheese, and of course, Flavors House Sauce. Light, fresh and delicious, this chicken salad is a must eat, no brainer. —ROASTED RED PEPPER PIZZA: The dough is actually a low carb tortilla. It is then loaded with spinach and roasted red, green, and yellow peppers. Add to that a generous portion of chicken and cheddar-jack cheese blend. This meal is served with a side of buttered, poached carrots. — AVACADO COOKIES: Made with nothing except Avacado these dark black cookies are amazing and a guilt free treat. Honorable Mention: Red and Green Stuffed Pepper Dinner: A big meal of peppers stuffed with homemade refried beans, roasted chicken, spinach and topped off with salsa. It is served with a side of mixed veggies. Also the Smoked Brisket Salad deserves a mention. Thinly sliced smoked brisket on a mix of romaine and spinach leaves. Meal also includes apple-veggie slaw. The salad is also topped with a bed of black beans, sunflower seeds, and Flavors House Sauce! Flavors Eatery always pleases, and their “Meals By Flavors” program is no different. Brillant usues of legumes, vegetables and sauces make guilt free seem so easy. But our article doesn’t end here…. With Flavors Eatery there are 3 other important things we would like to mention. 1) The Flavors Eatery in Centerville now serves dinner every day until 9pm, except Tuesday and Sunday. This is great news for many of us that enjoy flavors, but wished they had extended hours. Our prayers have been answered! 2) There is a Flavors Eatery now in Downtown Lebanon, at 4 South Broadway, where Rich and Elaine have expanded their franchise! They are running the new restaurant just like the original ! Stop in and say hello to this great mom and pop team ! 3) Bottles of FLAVORS AMAZING HOUSE GARLIC SAUCE are available at Dorothy Lane Market. What are you doing sitting there? Grab a bottle already ! This sauce goes great on anything from chicken and seafood, to salad and nachos. So get on your computers, email [email protected], and tell them you want the “Meals by Flavors” menu. For those of us with a busy lifestyle, it keeps your diet on track during the week! 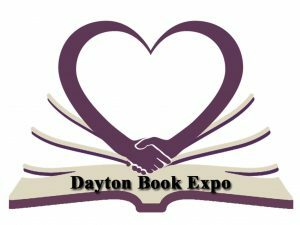 Want to keep on track with all the foodie happenings in Dayton? Then “like” Food Adventures on Facebook, and join the thousands that know, we set the cutting edge trends that other follow. Keep up with the Food Adventures crew of Hungry Jax, Chef House, the King and the Big Ragu and comment on your favorite eateries. Also – check out our 50 photos below of Flavor’s best items ! If Fred Flintstone was on Colonel Glenn Highway, he would say “Yaffa Gotta Do !” …and guess what, he would be right. Yaffa Grill can be summed up as “simply exotic.” It has worldly tastes of Mediterranean and Middle Eastern cuisine that are as authentic as they are delicious. At the same time they serve the food on paper or styrofoam plates. You see? Simple and exotic. Food Adventures have tagged this as our new favorite eatery, and have been visiting the 2 Yaffa locations with some frequency. Want an authentic, unique Food Adventure that is affordable and fun? Then look no further than Yaffa Grill. 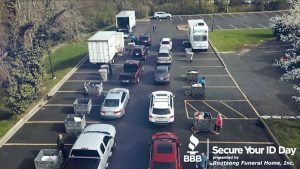 — They have two locations, one at 2844 Colonel Glenn Hwy (across from Wright State), and the other at 21 Alex Rd in West Carrollton which features a Middle Eastern Market. A local family from Palestine, owns both businesses. — The food is Middle Eastern/ Mediterranean. It is unique and exotic, but delicious! You will see spindles of meat and flaming shish kebabs. Yaffa Grill is a great place to experiment and try some new dishes out of your comfort zone. You will be happy you did! — The prices are right. The most expensive thing on the menu is a whole grilled chicken for $15, and we know you cant eat that by yourself. — Very casual atmosphere. The dining area is almost like a “to go” deli. Warning: the drink selection is very limited (cans of pop and bottled water). Don’t know what to order or where to start on such a diverse menu with possibly unfamiliar choices? No problem, The Big Ragu, Chef House and Hungry Jax have a list of “must eats” that wont disappoint you. There are various spellings out there of the dishes below, but we will use the spellings on the Yaffa menu. —MUSABAHA : The hardest thing about ordering it, is pronouncing it. It is a crushed chickpea puree, much like a hummus, with olive oil, lemon juice and spices mixed in. One of our favorite appetizers for sure. Dipping the pita bread served into this appetizer is one of life’s golden pleasures. —EGGPLANT SALAD: The Big Ragu has seen his fair share of eggplant dishes. This was one of the most unique and delicious ones we have come across. Served cold, it is perfectly mixed with roasted peppers, tomatoes and vegetables. Excellent pairing with the pita bread, it is a meal in itself. — YAFFA MIX GRILL: A sampling of 3 of the best shish kebabs in Dayton. The plate consists of a chicken shish kebab, steak kebab, and a beef/lamb mixed kebab. It is fun to watch the cooks prepare the kebabs on the huge skewers, over the open flame. We loved this dish. The grilled meat and vegetables make it a heart healthy choice. Honorable Mention: Fatayer: a delicious bread stuffed with your choice of spices. Lentil Soup: Yeah, we never thought we would ever write this, but the lentil soup is amazing. With so many great choices on the menu, it was hard to limit our ‘must eats.’ Even the “Baba Ghanouj” dip was some of the best we’ve had. If you like hummus, try it. Yaffa Grill is a perfect place to experience a new culture and have your very own Food Adventure. It is a fascinating place for true foodies, and a sampling ground for those with an open mind, who are tired of the “same old thing.” Vegetarians love this place for the flavorful entrees! They even have a kids menu with hot dog, burger and chicken nuggets option. Yaffa Grill does not have a website yet, or a Facebook page, but that doesn’t mean you can’t get some delicious food. Don’t forget that the West Carrollton location has a market with various hard to find imported groceries from far away lands. Canned goods, baked items, meats, nuts and even dairy products line the shelves. It is definitely worth a visit. Make sure you get some grub at Yaffa Grill, The Food Adventure Crew cherish it as one of their favorite places in Dayton. We are addicted, and we think you will be too. Some of our best photos of the year are in the picture gallery below, so make sure you scroll through them to see all of the dishes that Yaffa Grill has to offer. What’s almost as good as a freshly grilled Yaffa Kebab? The answer is “liking” Food Adventures on Facebook, by clicking HERE. Dayton Chef LeeAnne House, with her Housemade Sriracha Sauce ! We’ve got the boss with the hot sauce right here! Want to heat up your Food Adventures at home? Then look no further. Local chef, our own LeeAnne House has made her mark in the kitchens of upscale area restaurants. Now she is out on her own, with a new company called Housemade. Her first bottled product is a popular one, called Housemade Sriracha Sauce. She started experimenting with new sauces in her apartment kitchen and the batches grew, and so did the demand. Now she has taken her saucy self corporate. Believe it or not, sriracha is a style of sauce, and not a brand name. We are all familiar with that plastic bottle with the rooster and green spout. This gives that sauce a kick in the pants. — LeeAnne grew up in the food industry. Her parents at one time owned various restaurants like Lincoln Park Grille, Oregon Express, and others. LeeAnne worked her way up from bussing tables to chief hottie. — The sauce took a year and a half to perfect. Originally home cooked and home produced, she is now off to the big time with the same, natural recipe. Food Adventures have been trying her home batch sriracha sauces for months, so we are especially happy to see her recent success. — This sauce won 1st prize in the 2014 Louisiana Cajun Hot Sauce Festival, for the best specialty chili sauce, and is being blogged about nationally from California to Nashville. Foodies and Food Adventurers agree, it’s fantastic! — A bottle of this sauce goes a long way, good thing there is a 2 year shelf life. WHY IS THIS SAUCE A MUST EAT? — FLAVOR: That is the most important thing, right? Not just heat for the sake of heat, but good flavor is what a sauce is all about. Housemade Sriracha is sweeter, hotter and meaner than the sriracha you are used to. There is a good amount of tang and zing to get your tastebuds rolling. — ALL PEPPERS in this sauce are Thai Chili Peppers, and the sauce has NO STEMS. This is huge, because most mass produced sauces have stems ground into them, thereby changing the flavor of the sauce. Housemade keeps the flavor truer to the pepper itself with the tedious process of stem removal. — NATURAL INGREDIENTS: We wont give away the recipe, just read the side of the label for the natural ingredients. Did we mention it is vegan and gluten-free ? — LOCALLY MADE – Whenever possible local ingredients are used, local farmers, and the sauce is assembled from Dayton to Chillicothe. Hello, support local, buy local. Expect different sauces from Housemade in the future ! The Big Ragu knows where to get Housemade Sriracha, and now, you do too ! The Big Ragu loves the sauce on chili, shrimp, wings and anything mexican (nachos, tacos, tortas, burritos and sopes). LITE BITES: Try the sriracha on egg white omelettes, roasted veggies, homemade vegetable soups, and quinoa. Housemade Sriracha Sauce has made its way into local restaurants and has been appearing on specials at Lily’s Bistro, and pizzas at Oregon Express to name a couple. We expect more locally owned restaurants to follow this trend. In fact, the demand has been so good, that a second batch has already gone into production. WHERE CAN YOU BUY THE BOTTLES OF HOUSEMADE SRIRACHA? In more ways than one, it is the hottest product in Dayton. Housemade Sriracha, we love you, you hot thang you …. Also, see more of LeeAnne and her hot sauce in the photo gallery below! You ain’t gonna believe this shish. WANT A $20 GIFT CARD TO SHISH WRAPS?? THEN COMMENT BELOW ON THIS STORY. A WINNER WILL BE CHOSEN AT RANDOM ! When you think of Brown Street, you often think of people who are sh%# faced. But alas, we aren’t talking about those people. We are talking about people who are literally Shish Faced. These people are stuffing wraps in their mouths and can’t get enough of the great flavor. Want to get Shish Faced too? Then head to 1200 Brown Street, the home of a locally owned eatery called Shish Wraps. This family owned business has capitalized on the assembly line technique. Think of it as a Mediterranean version of Chipotle, and better too ! 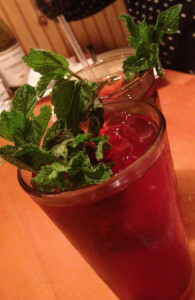 What you can expect is affordable, savory food, with a Lebanese influence. — Opened 8 months ago by first generation Lebanese-American brothers Simon and Tony Abboud who are both University of Dayton Graduates and Centerville grads. All meat is cooked over a rotisserie flame: You think you’re Hot Shish ? — Menu items come from family recipes, a love of cooking, and results of experiments over the years. — The meat is cooked over fire, on rotating kabob skewers for a char-grilled taste. No buttery, oily soaked meat on a flat grilling surface means HEALTHIER for you ! — Vegetarian? No problem. The falafel (fried chickpea fritters) and vegetable wraps are great meatless alternatives. — CHIPS & HUMMUS : The creamy, garlic goodness of this hummus is amazing. This is seriously one of the most flavorful hummus plates in town, and it is homemade on site! — SHISH FRIES: The Big Ragu will go on record as saying these are the best fries he has ever eaten. The fries are dusted with garlic, olive oil and a generous heap of feta cheese. Kafta Bowl – spicy beef links over hummus, lettuce, pickles and tomatoes. MUST EAT ! — SHISH BOWL: You can choose chicken, or falafel but Jax says GET THE KAFTA BOWL ! Kafta is ground beef mixed with parsley and spices and it is some good shish. Served with hummus, Mediterranean pickles, tomatoes and lettuce, this is a healthy dish that tastes damn good. Be warned, you will be craving future visits for this stuff. — SHISH WRAP: We love these. The menu says build your own, but may Big Ragu suggest the Chicken Shish Wrap? It comes with an incredible cabbage mix and load it up with your favorite veggies! Get Shish sauce or Tzatziki sauce on it which are must eats in themselves. An added bonus is that the pitas are lower calorie than other wrap places. You can choose your own meat, sauces and veggies so style it your way. Honorable Mention: The Tabouli – a healthy choice that is freshly chopped in-house. It is seasoned with the perfect amount of lemon juice and served with pita slices. Make sure you check out our gallery below with some incredible photos from our many visits to SHISH WRAPS… Our fans know we never post a story on a one time visit, this is not a “drive by.” You deserve better. We realize everyone needs to get a little Shish faced now and then. For more info on menu and hours, visit the Shish website HERE. Visit 3 Shish Heads, Food Adventures, on Facebook and like them HERE ! Fresh Food Adventures at Fresco! Do you you hear that rumble? It is your stomach craving affordable gourmet food. The answer is one of Dayton’s best kept secrets, a little restaurant called Fresco. World class dishes made from scratch with fresh produce from Chef Jenn DiSanto and her staff are what brings loyal foodies to this one of a kind eatery. Located at 3141 Far Hills Ave near the Dorothy Lane intersection in Kettering since 2010, Chef Jenn has been serving her “Mediterranean and eclectic global” menu. The Big Ragu describes the menu as Food Adventure Central. Hello .. what’s not to love? Even the restaurant name is based on their commitment to fresh ingredients. If you have not heard of Fresco, or have never been there, then this is your wake up call. Great prices and knowledgeable sous chefs that have experiences cooking outside of Ohio, result in a kitchen that cranks out amazing, extremely delicious meals. 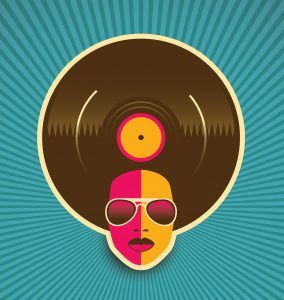 — Chef Jenn DiSanto is the only rap-music loving area chef that has studied and worked culinary magic in Belgium, New York, Connecticut and Atlanta. You can count on one hand the classically trained Dayton area chefs, and Jenn DiSanto is one of them. So, TAKE ADVANTAGE OF THIS PRECIOUS RESOURCE and her expertise for priceless dining experiences! — Clean, casual, yet professional dining room seats about 20 for dine-in lunch or dinner. 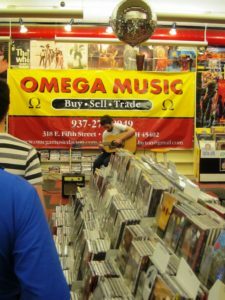 Lots of regulars, and a personable staff provide and inviting atmosphere. — Practically all the dishes use Organic and Local ingredients, with a commitment to FRESHNESS. — Salad Dressings made from scratch that will tickle your tastebuds. Typically 5 or more choices on hand every day. — Healthy menu with Vegan, Vegetarian and Gluten-Free menu options. — Daily specials feature one of a kind dishes. For more info, visit frescofood.net or click HERE. — Catering and meals-to-go are popular choices. The menu even features the “feed a family of 4 for $28” section. Food this good at those prices in unheard of in the Dayton area. — Hours are Monday through Friday 11:30am – 7pm. Remember, no weekend hours except catering or special private events. — HOMEMADE CHICKEN TORTILLA SOUP: Made from scratch using homemade chicken stock and fresh ingredients, words like “delicious” don’t do it justice. 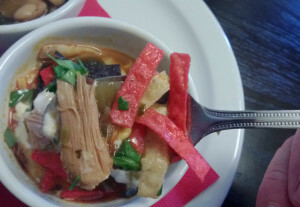 The soup is garnished with sour cream, cheese tortilla strips. Try this soup and you will understand why it is indescribable. This soup is one of our favorites of all time. — KALE and CANNELLINI BEAN SOUP: A perfect fix for the upcoming brisk weather. This soup is so good, you will make ‘yummy” noises while eating. The kale is trimmed and cooked to perfection. It is the right partner to this incredible broth and bean combination. 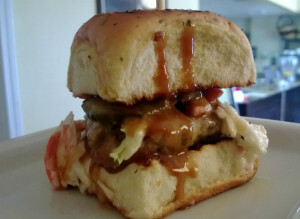 — THAI CHICKEN SLIDERS: The Big Ragu says these are the best sliders he has ever had in his life. The sandwiches have an incredible Thai peanut sauce made from scratch that is added to a shredded chicken mixture. Topped with lemon grass and ginger pickled cucumbers with basil and cilantro slaw for an addicting punch of flavor. 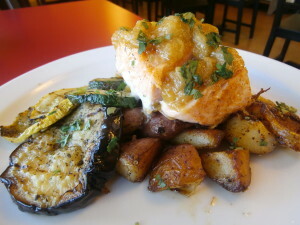 —ROASTED SALMON WITH MANGO CHUTNEY: Before roasting, the salmon is seasoned with a house rub. This is fresh salmon, not frozen and it is perfectly cooked for an amazing taste. Finishing touches include a homemade mango chutney that is “to die for.” Sides include potatoes and grilled veggies. At $15.50, this dish is a steal. You would pay up to double at fancy restaurants and still not touch the taste of this dinner. The Big Ragu will go on record as saying this is the best salmon dinner he has ever had. lines). The Big Ragu recommends the Red Wine Vinaigrette as his favorite. Eating healthy never tasted so wonderful. Honorable Mention: Grab some handmade Fried Green Tomatoes when they are featured. They are great to share, but so tasty that we won’t share ours. We also love the Fish Tacos every Friday. Attention shrimp lovers, the Shrimp and Grits dinner is pretty good. Polenta is used instead of grits, and the combo of creaminess with the vegetables is amazing. This article would not be complete without mentioning the great Arepas on the menu or the savory Grilled Panini Sandwiches offered. Oh and did you know you can bring in your own alcohol when you dine in ???? Chef Jenn is one of our favorite local personalities, and her service is as “fresh” as the food. 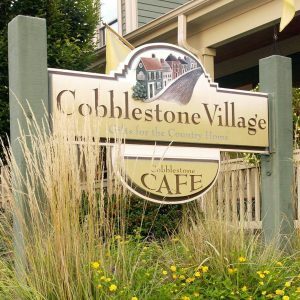 This locally owned, family business is a must stop for anyone who appreciates homemade food, and culinary expert cooking at its finest. Looking for a place to eat and want to change things up? We got one for ya.. and now you know, it’s Fresco. Want more foodie fun? Check out Food Aventures on Facebook and “like” us by clicking HERE. Over 2100 fans cant be wrong. Our first new like get a “free style rap session” with Chef Jen and ourselves. Check out some of the most amazing photos we have ever posted in our gallery below from numerous Food Adventures to FRESCO !